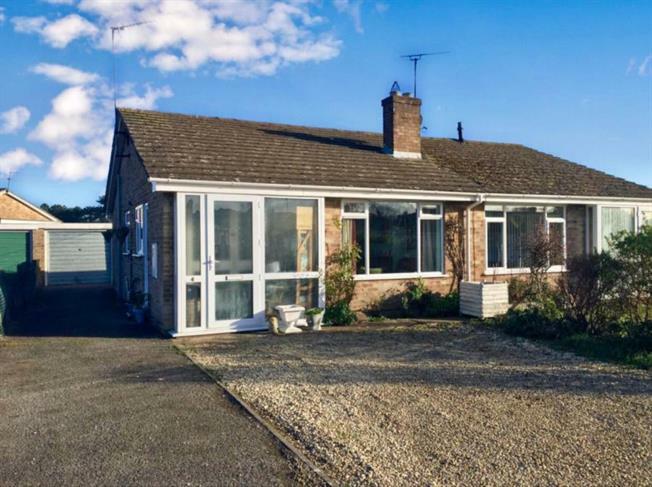 2 Bedroom Semi Detached Bungalow For Sale in Brackley for Offers in excess of £250,000. Taylors Estate Agents are delighted to present this charming 2 bedroom, semi detached bungalow. This home comprises of lounge with an open gas fireplace, kitchen, two double bedrooms, bathroom, a generous front garden with ample off road parking and a great size private rear garden and a single garage to the side of the home. The location of the bungalow has a fantastic access to the A43, A422, M40 and it is in close proximity to the Brackley Town Centre. There are schools located not too far away and there is also a bus stop nearby. To avoid disappointment, we urgently recommend a viewing appointment of this bungalow as soon as possible. This beauiful bungalow has a number of benefits including a spacious garage, parking for five vehicles and an unusually large and private rear garden. Please call us on 01280 703594 to arrange a viewing on this bungalow.